Kevin Paredes/PRISM Photo Editor Esmeralda Gomez, a sophomore majoring in psychology, is currently an intern for the Juvenile Urban Multicultural Program. As a freshman, Esmeralda Gomez wasn’t involved in any on-campus organizations. But after seeing her friend’s involvement in JUMP Weekend, she was inspired to join the organization. Now a sophomore majoring in psychology, she is also an intern for the Juvenile Urban Multicultural Program (JUMP Nation). “I like what they stand for — helping decrease the [high school] dropout rate and increasing their involvement in higher education,” Gomez said. JUMP Nation was founded in 1991 by Binghamton University students. The organization’s founders believed in mentoring at-risk middle school and high school students to deter the negative influence of aspects of their social, political and economic environments while also encouraging them to pursue a higher education. In order to achieve this goal, JUMP Nation partners BU student mentors and hosts with the young students, known as proteges, for an all-expenses-paid JUMP Weekend in the spring semesters and a smaller Leadership Conference in the fall semesters. Proteges are middle schoolers from the New York City and Binghamton areas. JUMP Weekend is a four-day immersion program for the eighth grade proteges. The weekend starts on a Thursday evening, when the students will meet with their mentors and hosts. Their welcome includes a dinner and stroll show, in which students from different organizations perform a choreographed walk. Throughout Friday and Saturday, the students will attend many forums and workshops to learn about the programs available to them. They will see presentations from multicultural organizations as well as professional organizations including the Society of Hispanic Professional Engineers, The National Society of Black Engineers, Quimbamba Latin Dance Team, Black Dance Repertoire and X-Fact’r Step Team. They will meet with resources on campus, like the Equal Opportunity Program and Financial Aid Office, to discuss their funding options for higher education. During their stay, there will also be breaks for the proteges, mentors and hosts to get to know each other. These scheduled breaks include a talent show and a trip to Skate Estate, a local center featuring attractions such as roller skating, mini golf and laser tag. The Leadership Conference is for high school juniors and seniors from the New York City and Binghamton areas. It condenses all the aspects of JUMP Weekend into one day. JUMP Nation started at BU, but also has a chapter in Syracuse. The JUMP Nation chapter at Syracuse University was started by former protege Marytere Acosta Guillon, who came to JUMP Weekend at BU when she was in eighth grade. 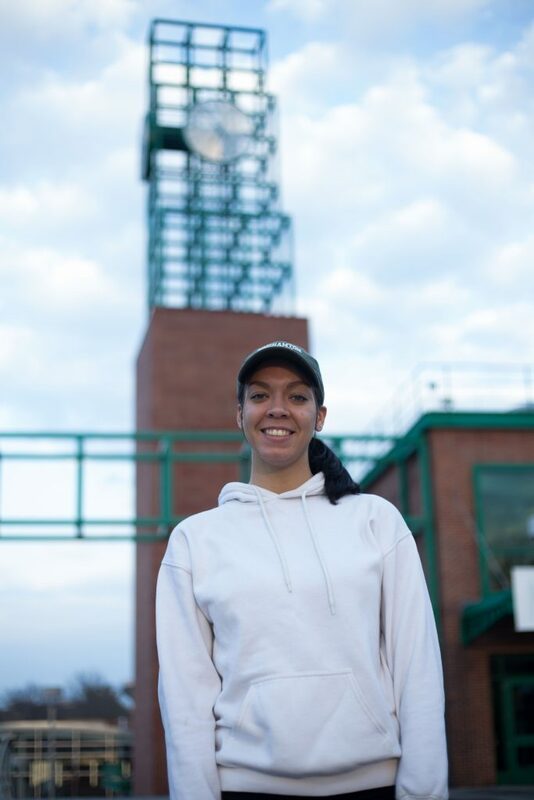 According to Chelsea Baker, president of BU’s JUMP Nation and a senior majoring in biochemistry, Guillon found the program so impactful that she established a chapter at her school. Baker heard about JUMP Nation throughout her freshman year. After missing the deadline for JUMP Weekend, she became a regular at its general body meetings. Eventually, she became a mentor, host and intern for the organization. She hosted two proteges while she was an intern. This year’s JUMP Weekend will take place April 19 through April 22. If you’re interested in participating next year, host students must live on campus and house their proteges during their stay. Mentors must agree to a five-year commitment to their proteges, during which they will guide them from eighth grade to their first year of college. JUMP Nation’s mentoring committee not only interviews potential mentors, but also matches them to proteges. According to Savannah Markel, a member of JUMP Nation’s public relations committee and a sophomore majoring in human development, many schools are chosen for the program through their connections to BU alumni. Some other schools are selected from the U.S. Department of Education’s list of underperforming schools. This year, growing interest meant that there was a waitlist for schools that wanted to participate. Guidance counselors select students who they believe would benefit from the program.